A few months ago, we were in Austria driving a fast SUV featuring coupe like styling. I know what you're thinking but it wasn't wearing a BMW badge. Can't blame you. After all, the inventor of this rather unique body style is the Munich-based carmaker. Back in 2008, when the X6 was launched, the world hadn't seen anything like it. In fact even today, I can't think of any other car that resembles the BMW X6. Well, the one we drove in Austria is an exception but that also means it's taken the competition almost eight years to come up with an X6 rival. BMW, meanwhile, were busy developing the next generation model. It's ready now and after an international release earlier this year, makes its way now to India. The coupe SUV design hybrid is what makes the X6 stand out from the crowd. The new generation model seems to have combined these two body styles to better effect. The masculine presence of an SUV is still there but has been toned down compared to the previous model while the coupe highlights have been further accentuated. The nose is also longer and looks a lot more aggressive this time, thanks to the new BMW family face. 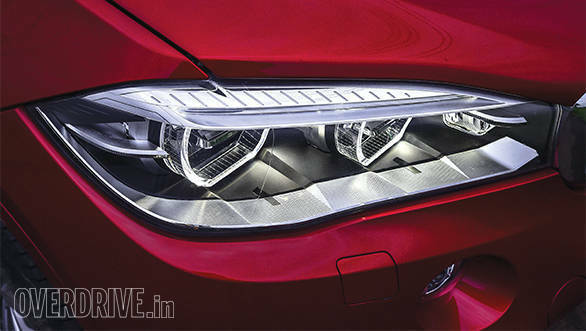 The headlamps and kidney grille are wider and it does give the X6 some more presence. 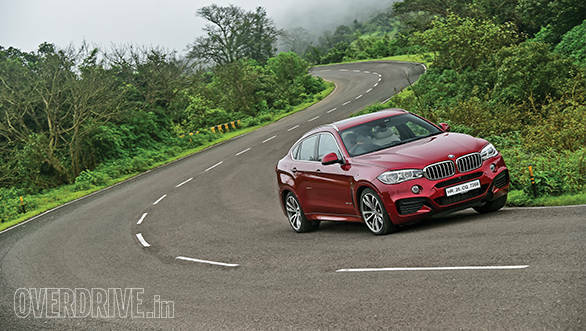 India gets the M Sport variant  this model offers a styling kit that elevates the design further by adding a sportier front bumper with larger air intakes, side skirts and a diffuser insert for the rear bumper. The coupe silhouette is more appealing this time and there are additional definition lines on the sides. It also runs large 19-inch M Style wheels with mixed size tyres. The X6 you see here is running optional 20-inch wheels shod with ridiculously wide hypercar like 315-section rear tyres. The high bootlid stays but the tail lamps are a lot more prominent as they are wider and sleeker than before. This along with the dual exhausts and contrasting gloss black inserts in the bumper add to the aggressive and strong character. Overall, the design isn't a revolutionary change, but one that has been predictable and gradual. 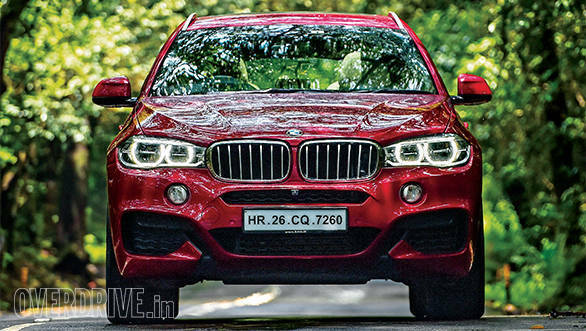 The X6 is based on the X5 and shares a lot of parts with the recently launched SUV. The interior appears fresh and at the same time, very much BMW. I love that steering because it comes straight off the M sedans. The split dashboard design houses the controls in the lower section. This area does look familiar but the upper part is rather fresh and premium. The wide fixed display looks like someone stuffed an iPad halfway into the dash. The hi-res screen displays a lot of information and features the latest version of BMW's iDrive infotainment system. 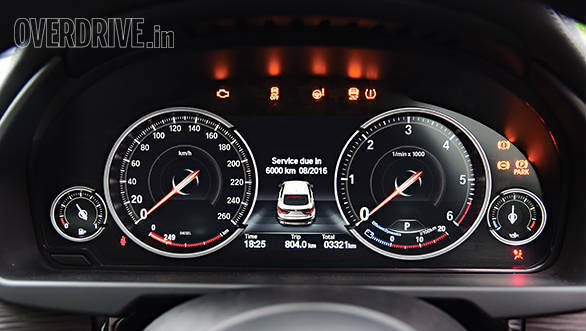 A full digital instrument cluster is also available and offers various viewing themes based on the driving mode. The animations are subtle and the screen is bright even during the day. Just like the X5, the new X6 also gets nice ambient lighting that looks the part when the sun goes down. There's also the well-detailed and high quality rippled wood trim on the dash and door pads. The second row is now a lot more spacious while the seats offer better comfort. Unlike the older X6, the dropping roofline doesn't eat into headroom. There's actually ample room even for tall passengers. Boot space has increased too, thanks to better space management and a slightly larger footprint. Surprisingly, under the boot, you'll find a space saver. Yes, a spare tyre in a BMW! The India spec X6 comes with just one engine spec but no one's complaining. The new 3.0-litre straight-six diesel features multi-stage turbocharging. It's the same unit seen in the X5 but it produces a higher 313PS of max power (up by 55PS) and a whopping 630Nm available at just 1,500rpm. 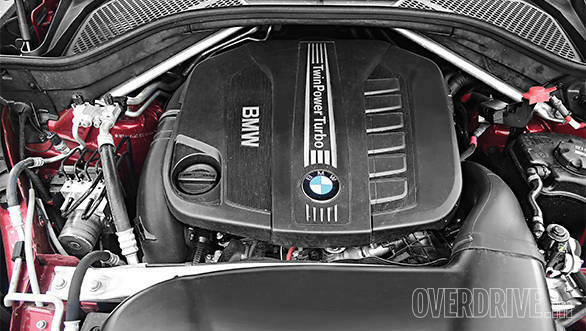 Like most new BMW engines, this unit revs higher than its rivals. The motor isn't the most refined but the slightly disturbed feel and clearly audible note will definitely appeal to a lot of dieselheads. The sheer torque combined with a quick shifting 8-speed automatic transmission propels this heavyweight from standstill to 100kmph in just 6.0 seconds! There's also a standard launch control feature that we were not able to test. It may perhaps help shave off a few more precious milliseconds. The engine even manages to be quite efficient. On the highway, the X6 returned 14.2kmpl while in town, the number was an equally good 9.4kmpl. Overall efficiency translating to an impressive 10.6kmpl. BMW has focused in making the X6 even more involving to drive than before and it's quite obvious when behind the wheel. Chassis technology is evolving and it only makes sense to make full use of it. Torsional stiffness has been claimed to improve when compared to the predecessor. The use of thermoplastics in the side panels, aluminum in the bonnet and magnesium in the instrument panel support help reduce the overall weight. This way, despite the larger footprint, the X6 is now 40 kilos lighter than before. The mix of materials has also helped achieve a 50:50 weight distribution. The electric steering is light and quick but could have offered more feedback. This is also the case with the X5 and most new electric systems. However, chassis control, thanks to the adaptive suspension, is commendable. Body roll is surprisingly controlled and the X6 actually corners enthusiastically. Full time all-wheel drive with torque vectoring assures great levels of grip  great for a vehicle of this size and height. It's not the last word when it comes to dynamics but the X6 does put a smile on your face when driven around corners. In terms of handling, it even has the potential to rival quite a few luxury cars. The brakes offer good bite and are progressive, making it a confident machine to drive through a ghat section or racetrack. Like most prospective buyers, we didn't bother to take the X6 off-road. Besides, the optional 20-inch wheels and low profile tyres meant we preferred not to. Like most new generation BMWs, ride quality has significantly improved compared to its predecessor. On smooth roads and at high speeds, the ride is enjoyable with predictable damping and you're rewarded with a nice and pliant ride. But drive through sharp bumps (which are abundant on our roads) or undulations in the tarmac and the ride becomes uneasy and stiff. The culprits here are the optional 20-inch wheels. Such low profile tyres, that too run flats, ruin an otherwise decent ride. The standard 19-inch wheels are the smart choice and they should significantly improve ride quality, especially with the dampers set to the soft setting. 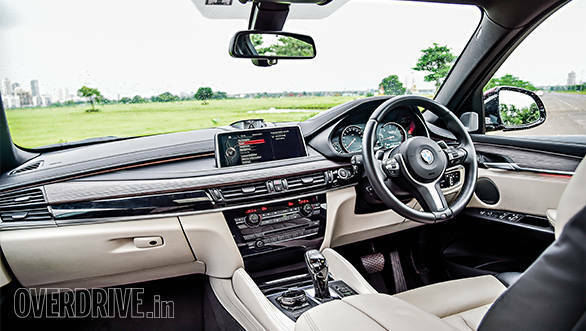 The BMW X6 in India is only available in one variant and is loaded with a long list of comfort and safety features. Some of the equipment include a Harman Kardon stereo featuring 16 speakers with most connectivity options. There's also navigation with 3D maps. One can also choose between four interior and eight upholstery trims. 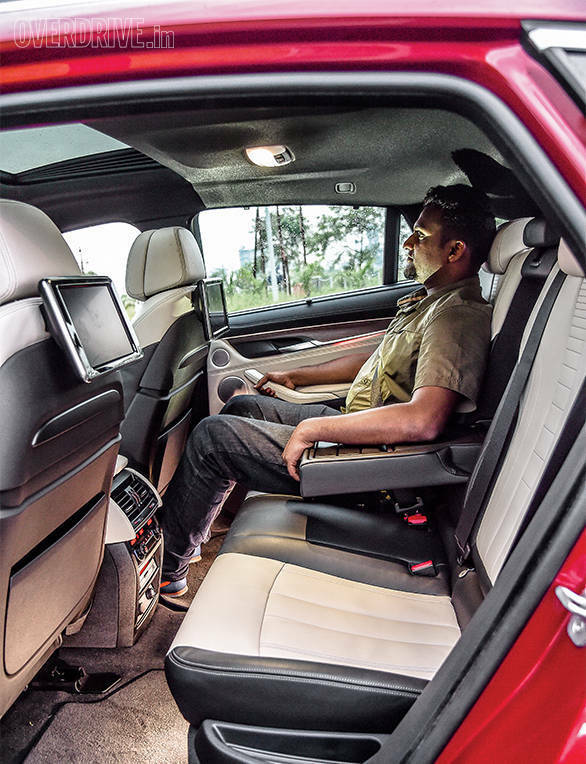 There are optional features too, including night vision and viewing screens for the rear passengers. 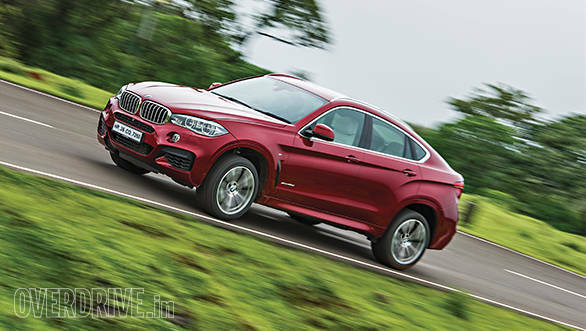 But it's not just the standard features that make the new X6 special. It's an improved car in all departments and that makes it very desirable. 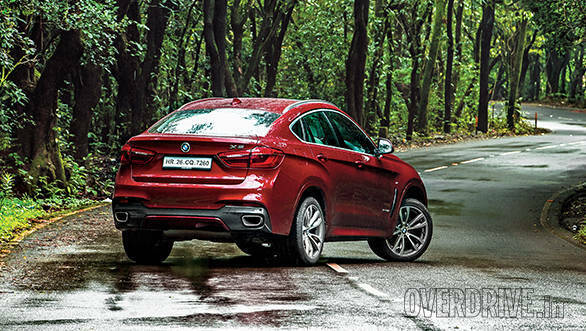 However, at Rs 1.15 crore ex-Maharshtra, the price for the BMW X6 M Sport seems a bit of an excess when compared to its predecessor. After all, it's the only SUV coupe in the market (cough-Stuttgart-cough).